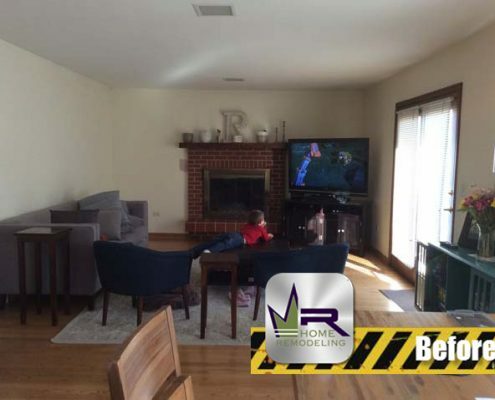 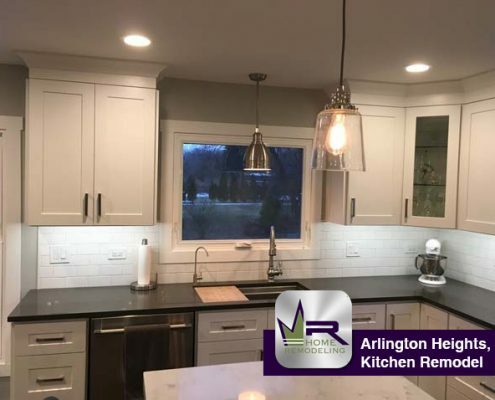 You can find this lovely home in the northwest suburb of Chicago- Arlington Heights; located near the intersection of North Arlington Heights Road and East Hintz Road. 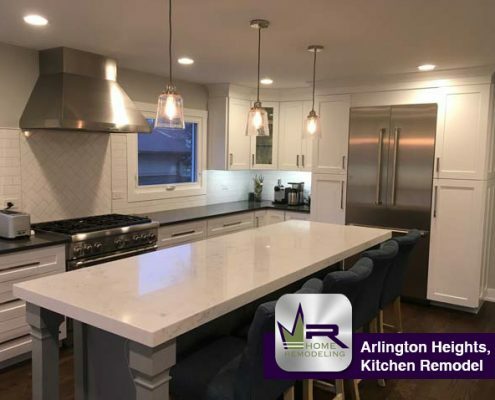 Other than being only 25 miles from downtown Chicago, Arlington Heights offers plenty of restaurants, shopping, and other businesses that make this village very appealing to people looking to buy a new home. 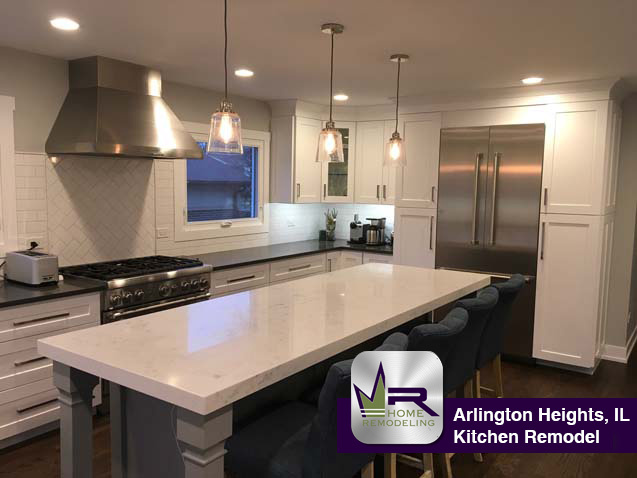 Whether your spending the day at the Southpoint Shopping Center, or betting on the fastest horse at the Arlington Park Race Track, don’t forget to first stop at Walker Brothers for their famous pancakes. 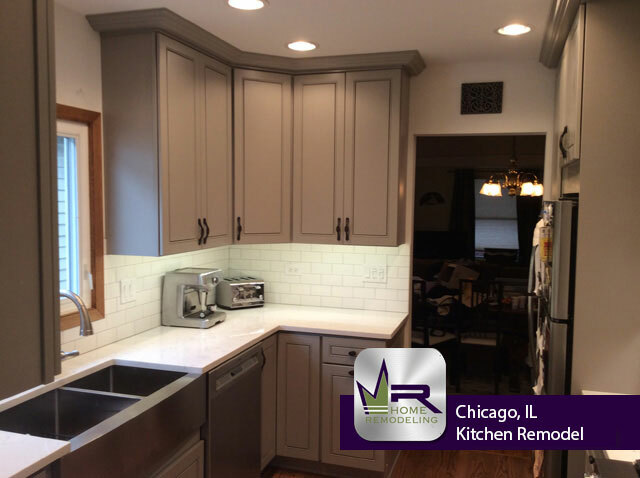 And to end your long day, head to Lou Malnati’s for some Chicago style deep-dish pizza. 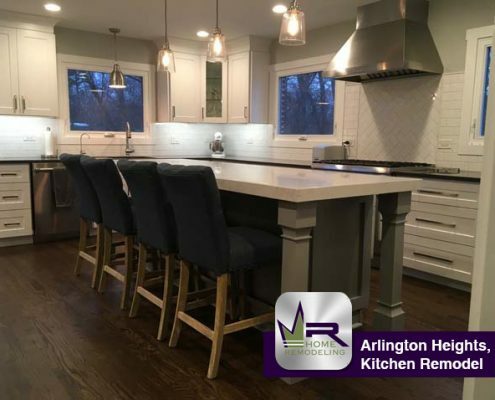 Arlington Heights has something for everyone. 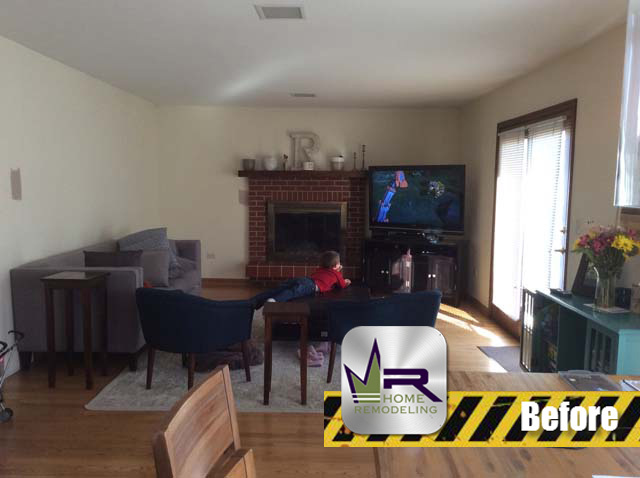 Whether you live here or are just visiting, you will not get bored in this charming village. 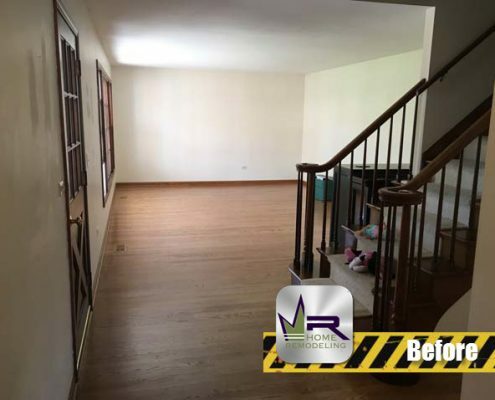 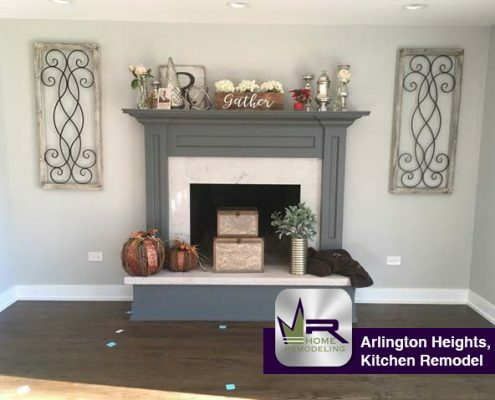 The owners of this Arlington Heights home were ready for an update. 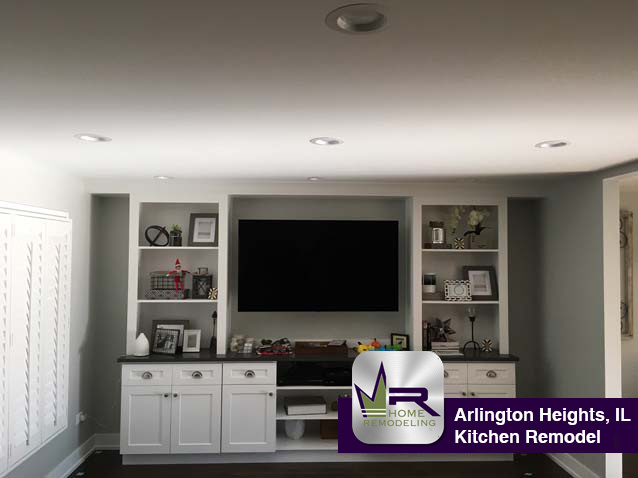 When discussing potential floor plans for their new kitchen, the family knew they wanted one thing: space. 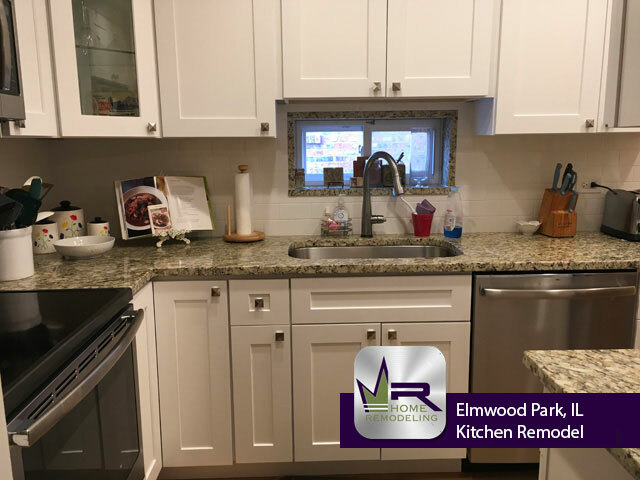 Prior to the renovation, the kitchen was small with little room to entertain and cook at the same time. So, Regency came in and gave life to their idea. 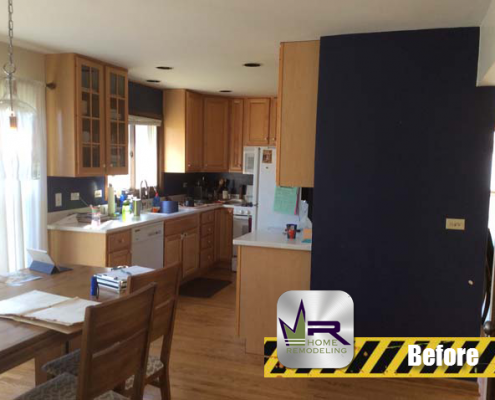 Walls were eliminated to double the size of the kitchen. 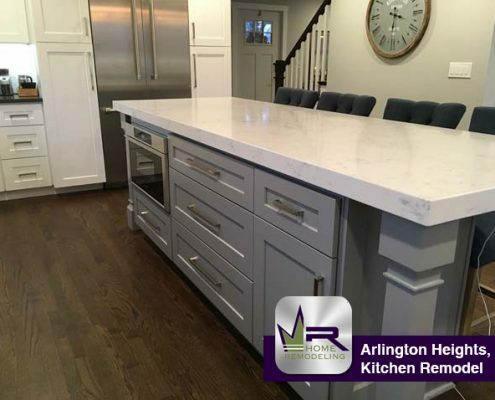 A large island was installed along with bright new cabinets and countertops. 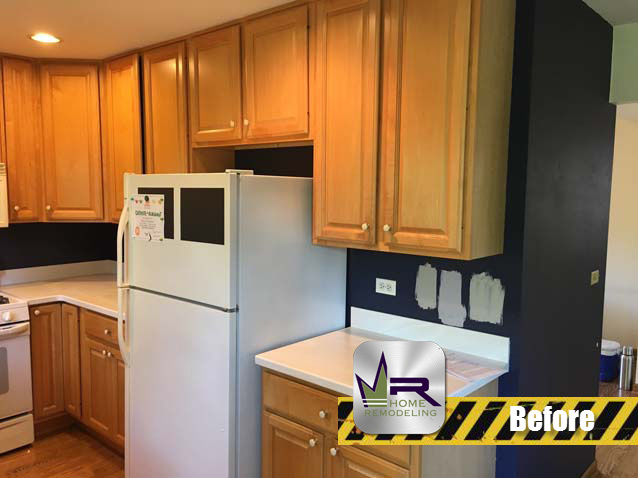 Through these major changes, we were able to reach our customers goal of a more spacious and open kitchen. 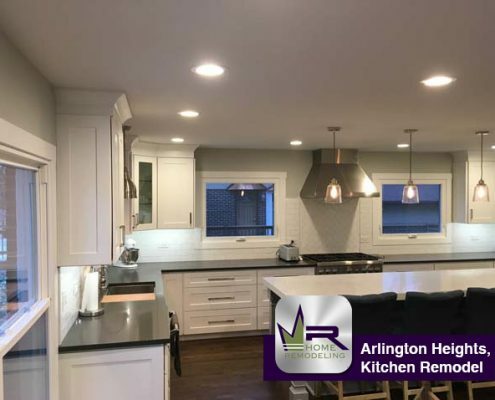 This kitchen is stunning. 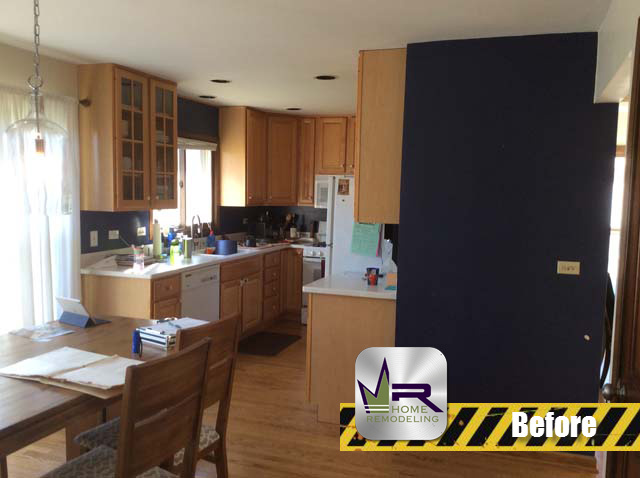 The wall where the refrigerator was before the renovation was torn down allowing the kitchen to expand like the customers wanted. 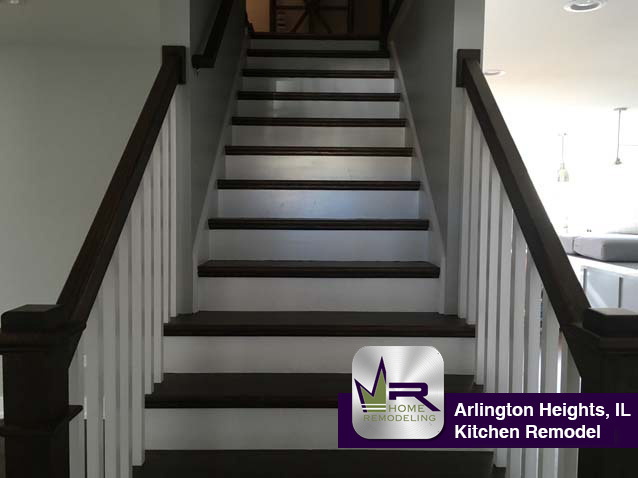 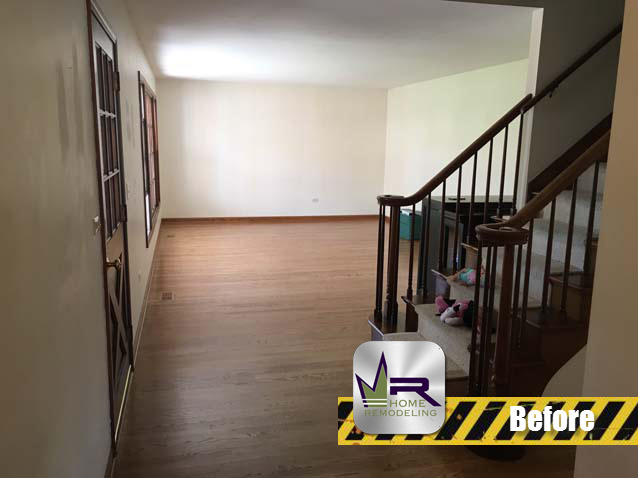 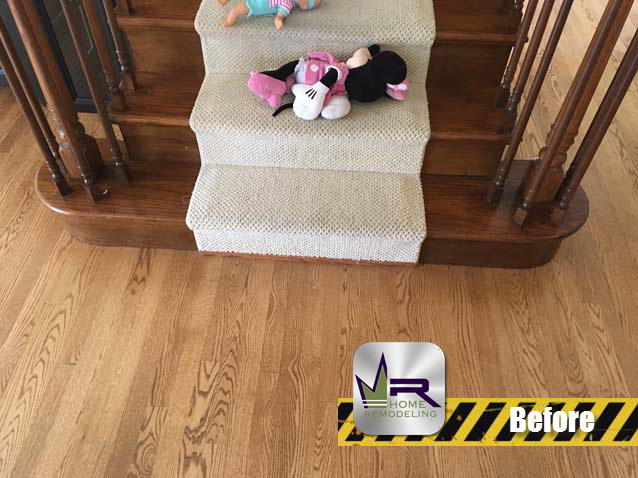 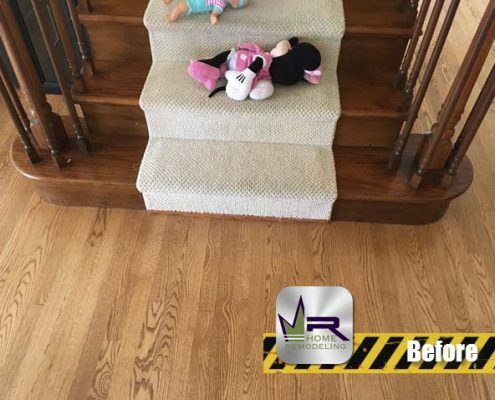 The dark hardwood stain throughout the entire first floor and stairs help give the home the spacious feel that our customers wished for. 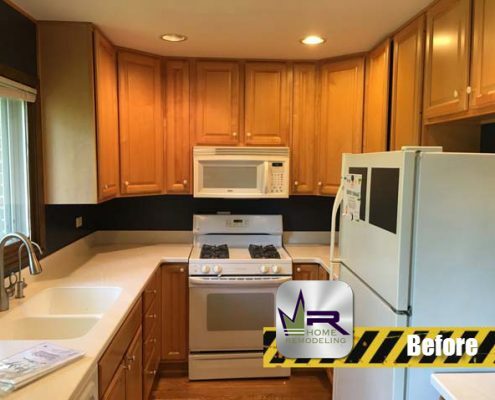 It ties in perfectly with the color of the cabinets and the countertops. The perimeter consists of white shaker cabinets with a grey quartz from Daltile, while the island consists of grey shaker cabinets with a light quartz, also from Daltile. 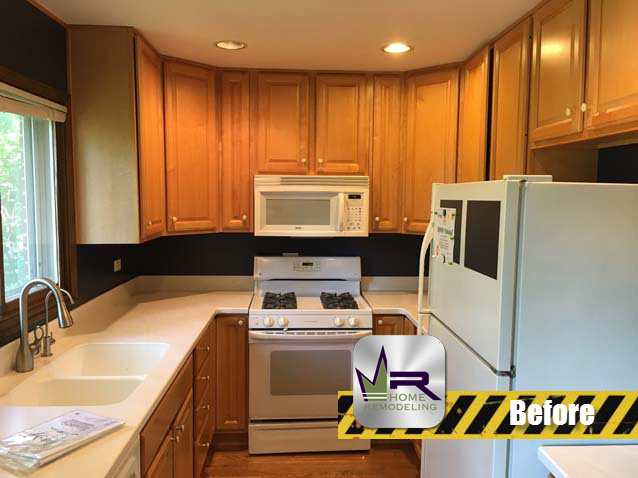 This contrast gives the kitchen its modern and clean look. 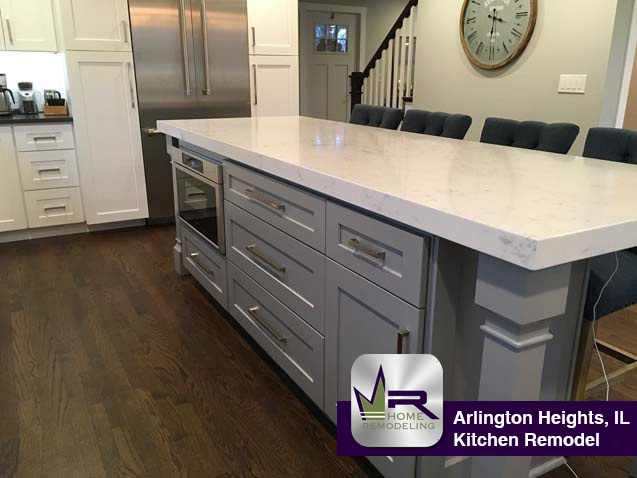 The island allows for a great space to prepare meals, eat, and even entertain. 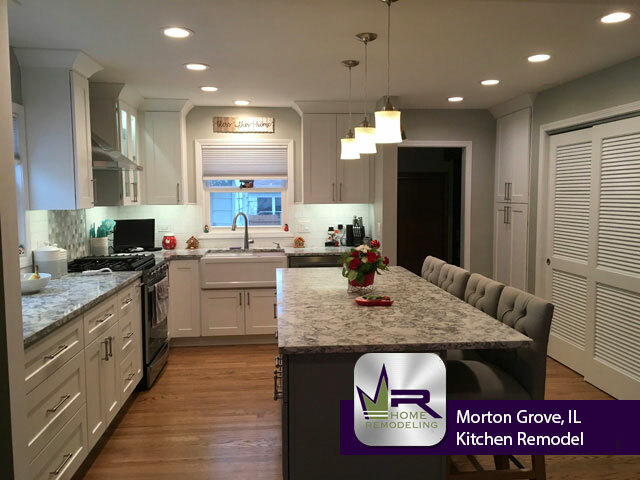 It is a great touch to this kitchen remodel. 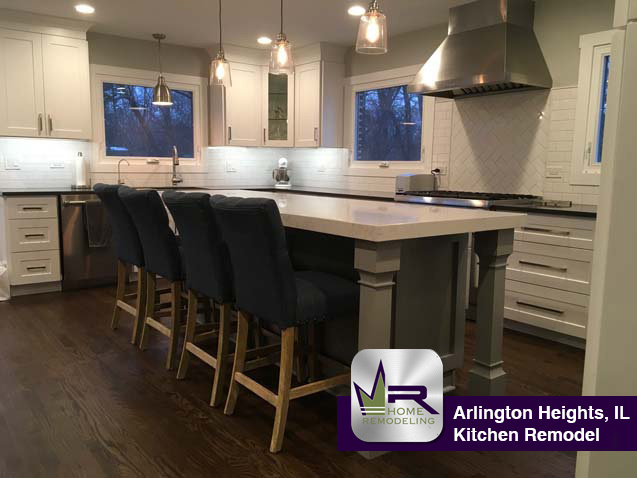 The stainless steel appliances pulls everything together with the luxurious look it gives to the entire kitchen. 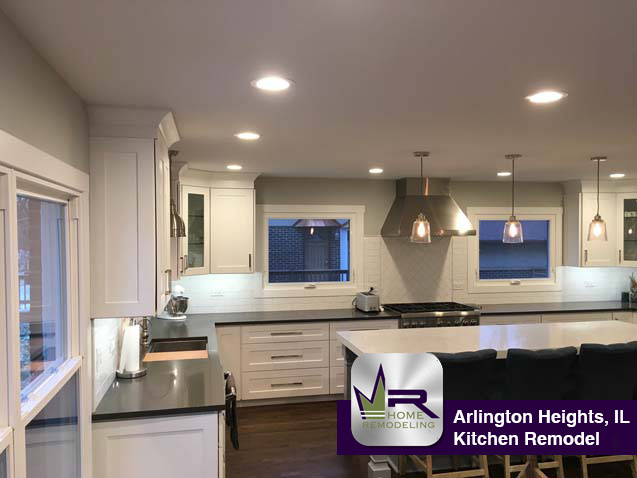 The customers are more than satisfied with the result and we are thrilled that we were able to make their kitchen dreams come true! 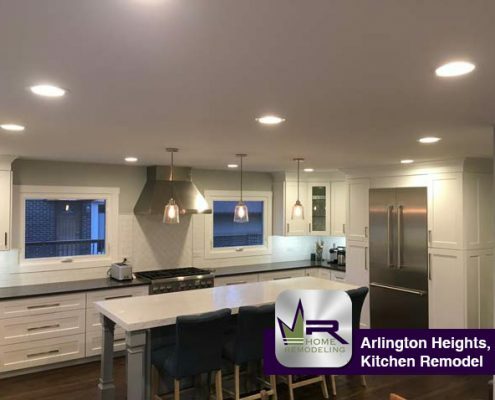 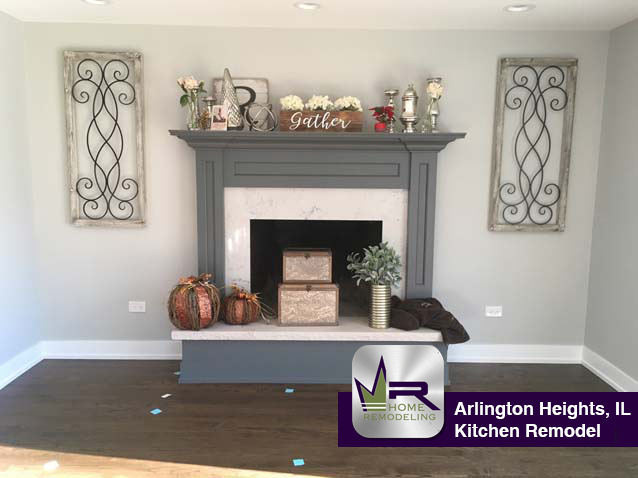 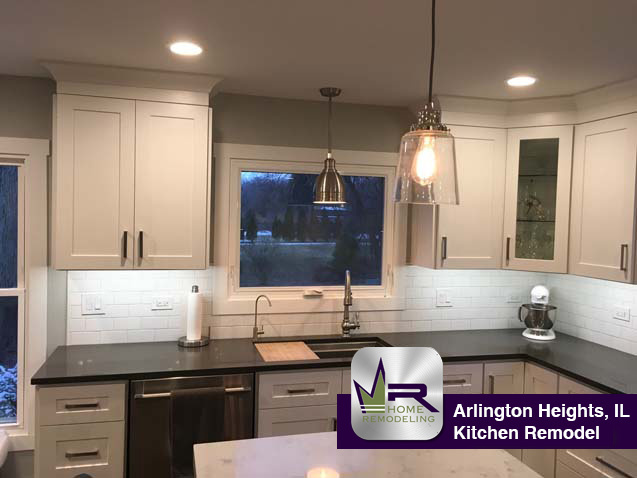 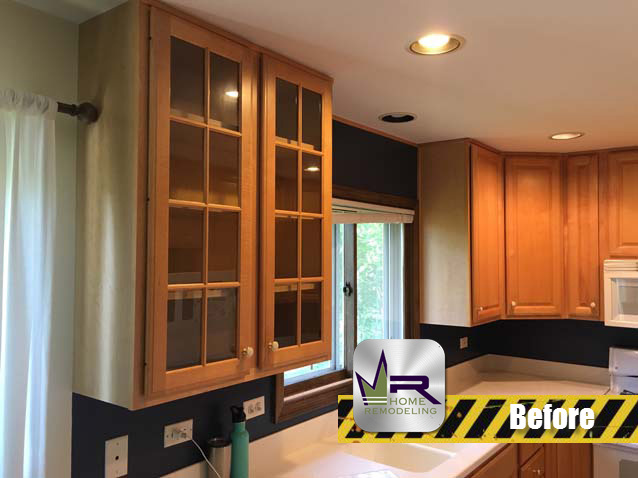 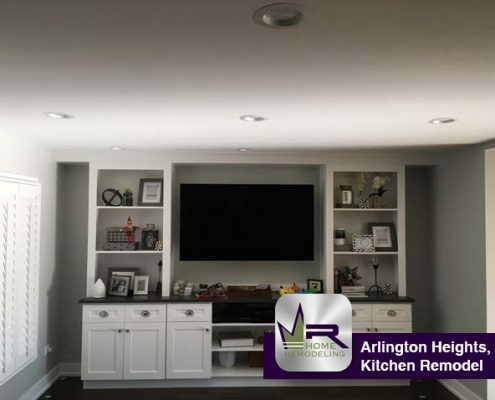 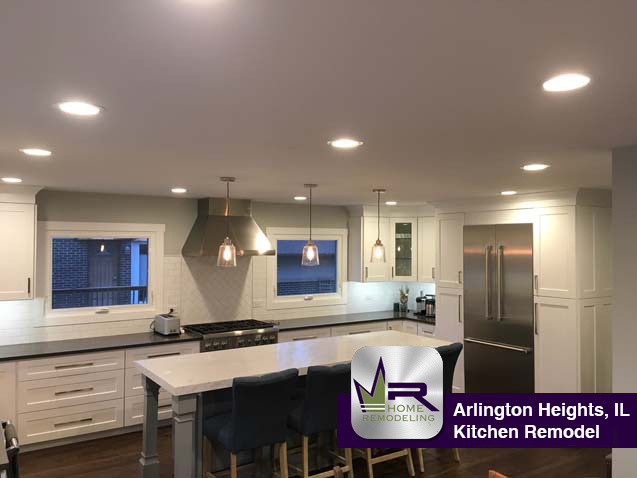 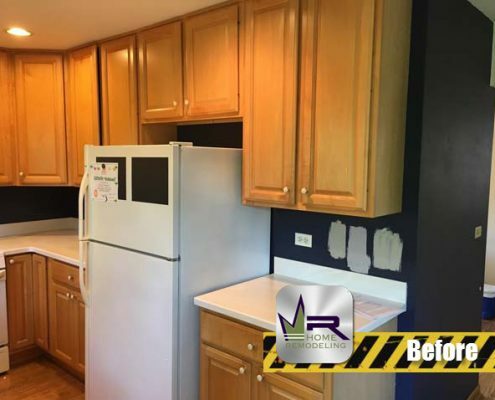 If you want a kitchen remodel in Arlington Heights, IL call the experts in home improvement, Regency Home Remodeling, at 1 (773) 930-4465.